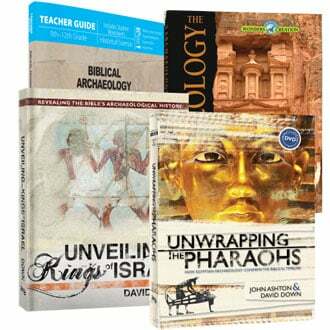 The Biblical Archaeology Curriculum Bundle demonstrates how archaeology affirms history from Egypt to Israel. Study Biblical Archaeology as a one-year course that will count for one high school history credit. This bundle includes one of each of the following books. With the Biblical Archaeology Teacher Guide, you can study Biblical archaeology in a one-year one credit history course for homeschool high school. In the Teacher Guide, there is a suggested weekly lesson schedule, Student Worksheets, Quizzes & Tests, And an Answer Key. The quizzes, tests, and answer keys are removable so your student can use the planner to work independently. The student will read the assigned pages and complete the assignments. Quizzes are given regularly to assess learning. There is space to record grades and for the student to check off work as it is completed. It is flexible to allow your student to work at a regular five lesson a week pace or to group lessons as desired. 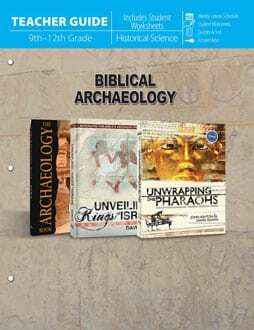 Use the Biblical Archaeology TG with The Archaeology Book, Unwrapping the Pharaohs, and Unveiling the Kings of Israel. 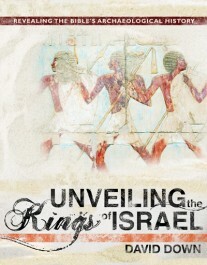 In Unveiling the Kings of Israel, you will learn about each of the kings of Old Testament Israel. 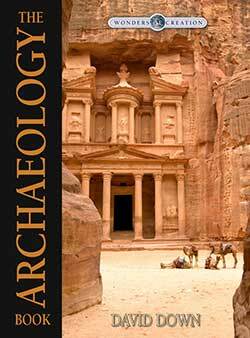 Written by archaeologist David Down, this book has beautiful photographs. How Egyptian Archaeology confirms the Biblical Timeline. “Go back in time as famous Egyptians such as the boy-king Tutankhamen, the female pharaoh Hatshepsut, and the beautiful Cleopatra are brought to life. 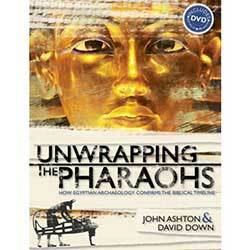 Learn who the pharaoh of the Exodus was and where his pyramid is in the captivating Unwrapping the Pharaohs. The Archaeology Book (Wonders of Creation science curriculum) studies the archaeology of Egypt, Hittites, Chaldeans, Assyria, Babylon, Persia, Petra, the Phoenicians, the Dead Sea Scrolls, and Israel. With a biblical view, your homeschool student will learn what an archaeologist does, what they find, and why it is important. Grades 5-11 with a multi-level design for different ages.